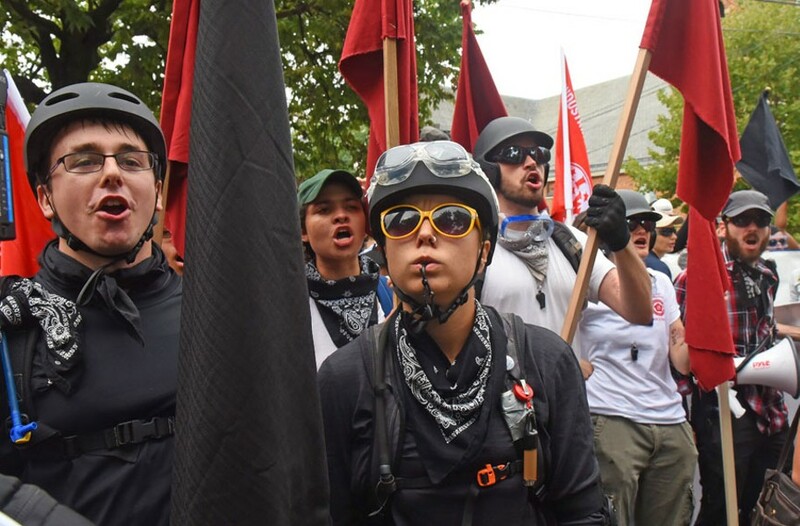 A New Book Aims to Clarify Antifa's True Mission and the Author is Coming to Richmond | News and Features | Style Weekly - Richmond, VA local news, arts, and events. Scott Elmquist Antifa members joined the counter-protestors in August who faced off with Unite the Right marchers in Charlottesville. 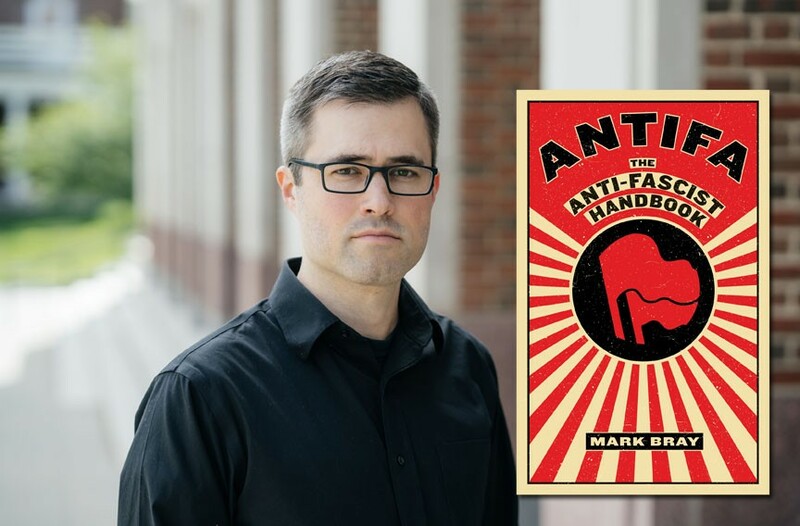 Ask historian Mark Bray about the philosophy of antifa, and he’ll say its goal is to shut down fascist and far-right organizations before they can grow. Setting out to collect the voices and experiences of anti-fascists from different contexts and present them to readers, Bray realizes many people are faced with confronting fascism for the first time. To that end, he interviewed more than 60 anti-fascists from 17 countries in North America and Europe. Locals who agree with Bray’s stance, have fallen in line with antifa. Most contacted by Style declined to speak, wary of being exposed to neo-Nazis and white supremacists. “I got involved around the time [President Donald] Trump was having rallies where his supporters were spitting on protestors, punching and attacking black people, and where you started seeing this pattern of Trump clearly encouraging and inciting violence against people of color, from immigrants and Muslims to black people,’ says a local member of antifa who asked to remain anonymous for fear of retaliation. Bray quickly corrects the misconception that antifa advocates violence first. “Violence is usually a last resort after pressuring venues to cancel an event or doxing a group’s leaders or other methods fail.” Doxing is the act of revealing an otherwise-unidentified person online, typically with malice or the intent to shame them. He says anti-fascists resist by any means necessary, but if escalation is unnecessary, they stick to phone calls and boycotts to do the job. Understanding antifa’s politics means recognizing that it’s only the tip of an iceberg of monitoring and organizing. He likens the time involvement of committed anti-fascists to having a second job entailing mostly thankless drudgery behind a computer screen tracking neo-Nazis across multiple social media platforms, figuring out where they work and live and whom they contact. So why such disdain for a loose network of people who simply want to resist white nationalist movements? “A lot has to do with misinformation. The media’s done a terrible job cobbling together the basics of what anti-fascism is about,” Bray says. Part of his intent is to educate a younger generation less familiar with political protest. Although he didn’t tailor the book to any single demographic, he’s hoping his book equips people with a wider knowledge of specific strategies and historic tactics. Bray sees evidence that antifa’s tactics are making a difference. Cornel West and clergy thanked antifa for saving their lives in Charlottesville. After that unrest, more than 60 alt-right demonstrations were canceled. More universities sought to cancel white supremacists’ events. Mark Bray’s reading is Sept. 25 at 6 p.m. at Babes of Carytown, 3166 W. Cary St. chopsueybooks.com/events.